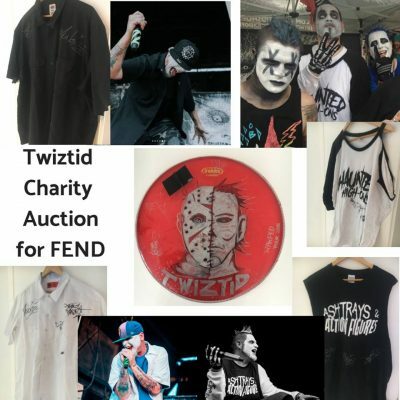 Twiztid has teamed up with the FEND Movement once again to help raise funds for the anti Opioid movement. They have a few very fresh autographed items up for bid on eBay, and the starting bids are super cheap! There are still 5 days left in the auctions, but now is the time to at least add them to your watch list. Check out the post about it below. I’ve got my eye on that drum head myself! Best of luck bidding, and remember that ALL proceeds go to benefit the FEND movement!